Recently on this blog: a posting of 3/10/19, “Boynton: hippos and an occasional pig”, with a section on the cot/caught, or low back, merger (in North American English) in words spelled with OG; and the announcement of a Page on this blog on cot/caught. 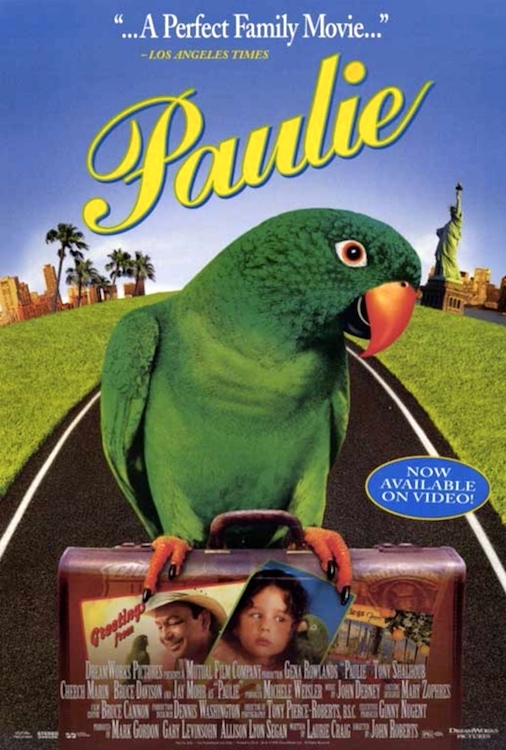 This 1998 movie concerns a male parrot named “Paulie.” Get it? Paulie/Paul with /ɔ/ (standardly), Polly/Poll with /a/. 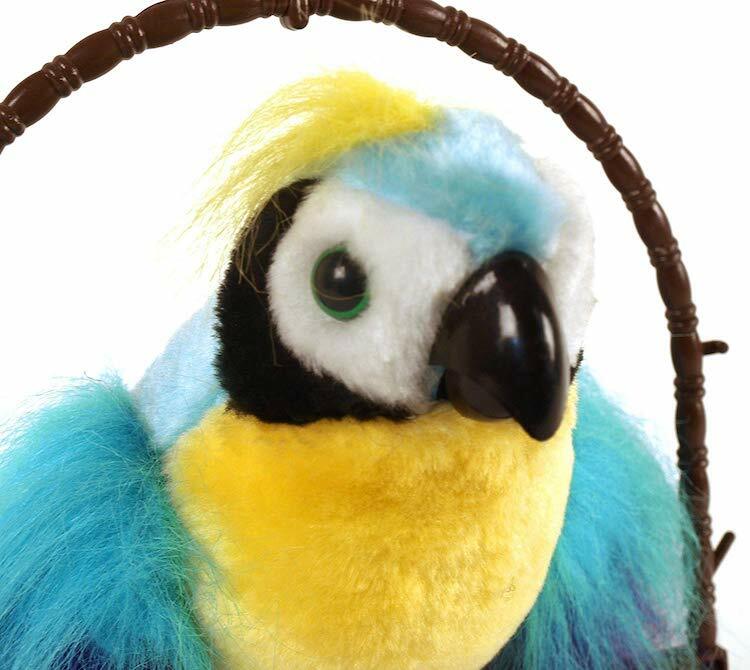 Product description: Polly The Insulting Parrot Polly may look like a cute pet but he’s got a filthy mouth. In fact, he swears like a drunken sailor. Polly The Insulting Parrot says: Hey Baby! Show us your T*Ts. Polly want a F#ckin cracker. Nobody loves you, everybody hates you. Dickhead alert! Dickhead alert! …and more. This entry was posted on March 20, 2019 at 8:13 am and is filed under Eggcorns, Linguistics in the comics, Movies and tv, Names, Nicknames, Phonetics, Phonology, Taboo language and slurs, Toys and games. You can follow any responses to this entry through the RSS 2.0 feed. You can leave a response, or trackback from your own site. I’m afraid that I often find Ruthie’s misunderstandings be a bit of a stretch, and in this case, while I get the “odd/aud” confusion, where is she getting ol’? Who would be pronouncing the second syllable of auditorium with anything that could be mistaken for an /o/-like vowel? It’s a fair cop. Detorie occasionally stretches things very far indeed for the sake of entertainment.